Giving people a chance of home ownership. JP Real Estate Group LLC and BAMA Real Estate Investments LLC provide a service to the MSA of Huntsville and Madison Alabama that is unheard of. These two companies are helping people to enter the arena of home ownership. It is difficult for some Americans to purchase a home because of bad credit. All banks require some minimum credit score before they even consider the application for a home loan. This is not true for the Alabama Affordable Housing program by JP Real Estate Group LLC and BAMA Real Estate Investments LLC. The Alabama Affordable Housing program is geared to helping folks to own a home. The mortgage payment on a home through this program will generally be lower than what one would pay for rent. 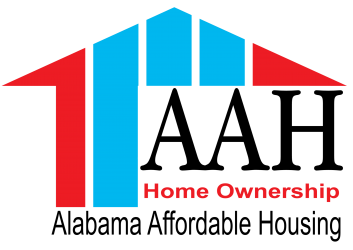 The goal is to encourage home ownership. Mortgage payment will generally be lower than rent. This is huge. The down payment is not a lot. Generally $3,000 – $6,000 as a minimum. At times services are traded for the down payment. Early payoff of the loan. The idea is to try to own the home free and clear in a short time. Every situation will be different. Sometimes the term could be up to 20 years. The credit score is not important. A background check will be executed however. There will be pride of home ownership. This is intangible. The target areas for this program are the low to mid income homes. Most of the time the homes will need some love. A little elbow grease, low down payment and the potential buyer becomes a home owner.